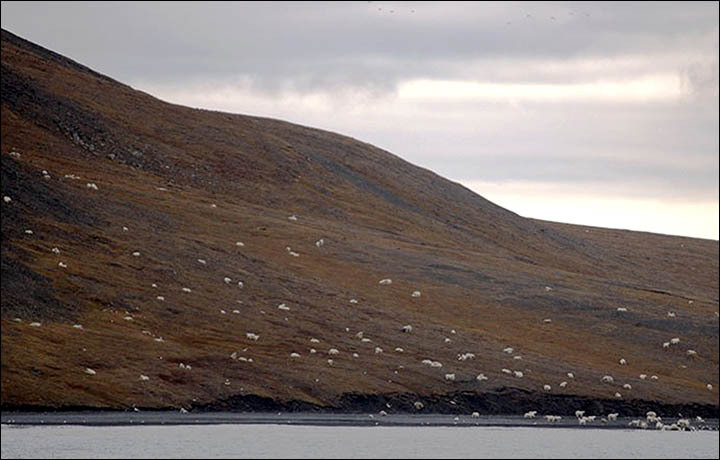 A beached bowhead whale quickly became lunch for over 200 polar bears on Wrangel Island in the Russian Far East. The spectacle was witnessed by lucky tourists on board a passing expedition vessel. The formation consisted of single males, single females, mothers with cubs and even two mothers with four cubs each. Subscribe to our email newsletter to hear about our latest news, new experiences and all things High Arctic, Antarctica and Latin America.